These natural-looking pure cotton Hammam beach towels are so adorable with their looks and qualities. 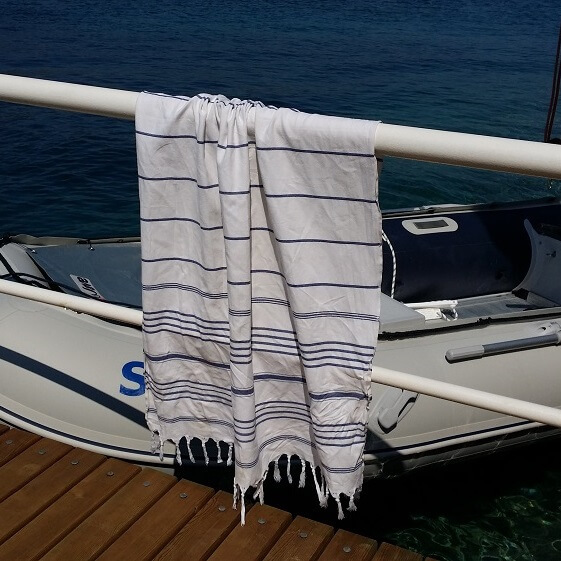 Elegantly hand-loomed and generously large Vintage hammam towels are ideal for everyday needs. 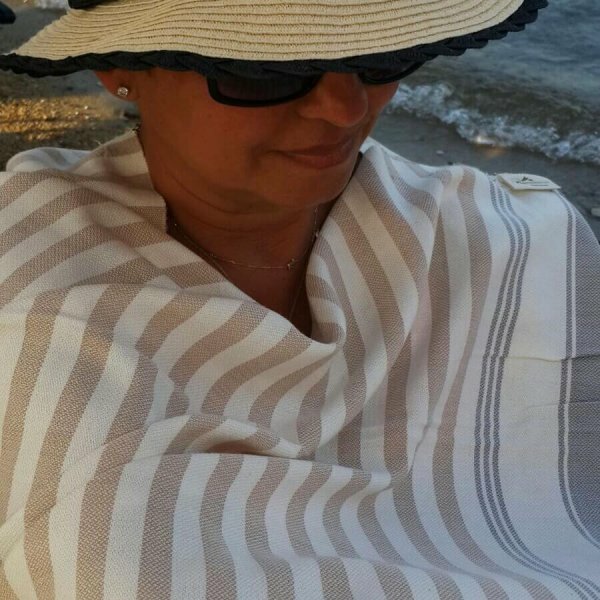 They are totally flat-woven towels with quality cotton yarns absorbing water in no time. Being fluff-free, it means they dry really quick. 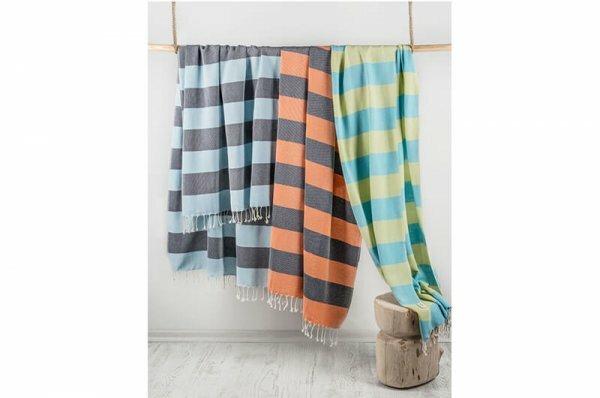 Amazingly soft, surprisingly absorbent and lightweight Vintage cotton hammam beach towel is the most popular hammam towel for those loving the more natural look. 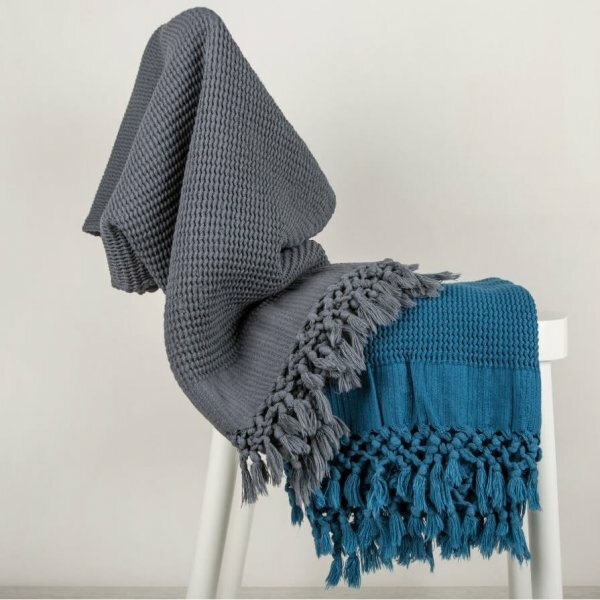 They have been featured in Country Homes & Ideal Home magazines a couple of time. 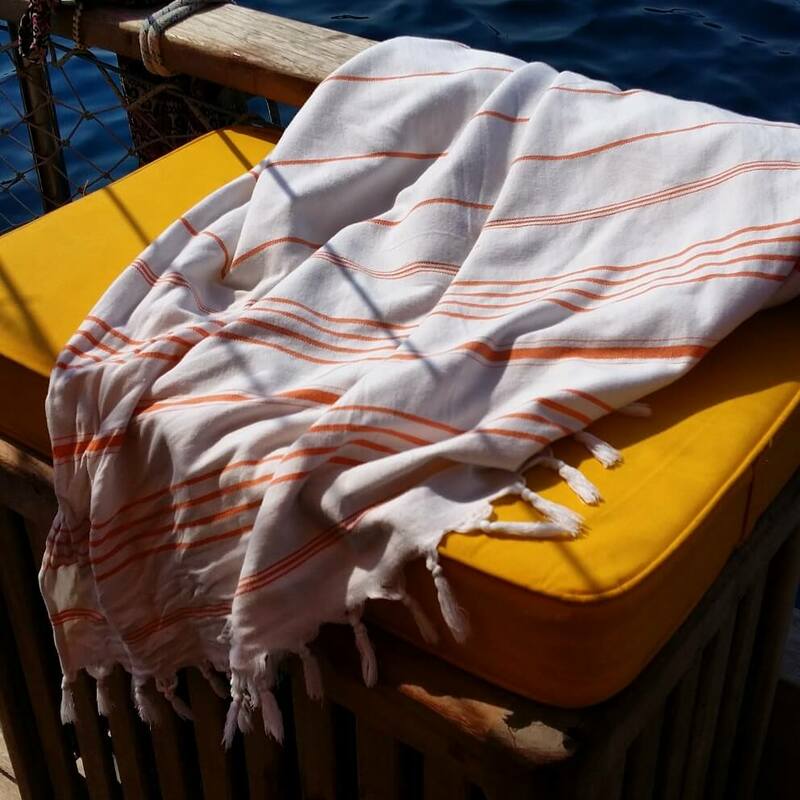 They are very compact and handy as a travel towel, perfect for sailing, caravanning, camping, backpacking, hiking just to name a few. 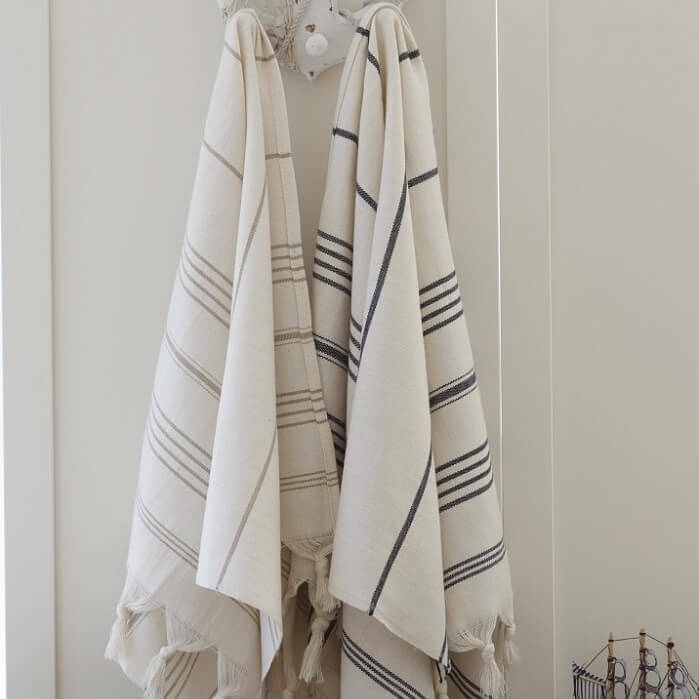 Equally, they make a perfect guest towel set for your overnight guests with their matching hand towels. They help you save a lot of space in the cupboards and washing machine. Hence a big saving on the energy bills! 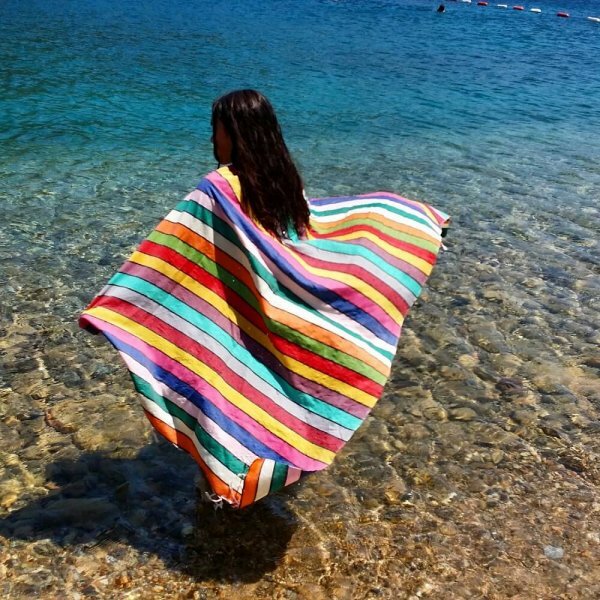 This beauty is unbeatable for the gym and swimming bags. 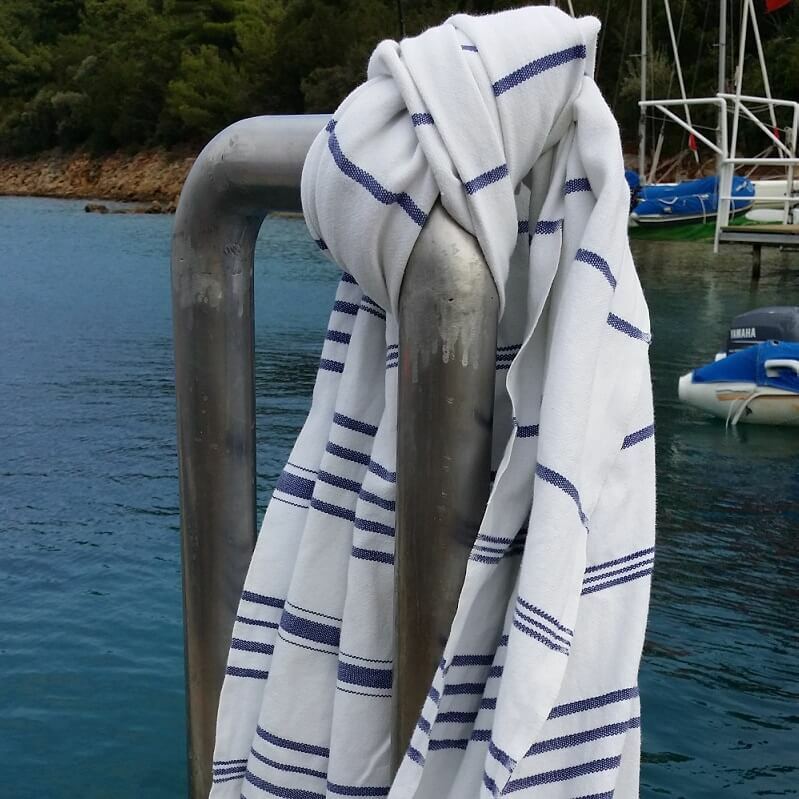 Why do you carry the weight of a conventional towel on your shoulder while you can go lighter and enjoy the super drying properties of this amazing towel? 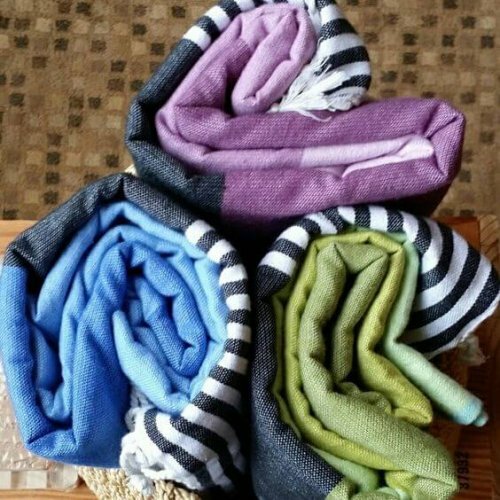 These towels will get even softer and much more absorbent with wash and wear. 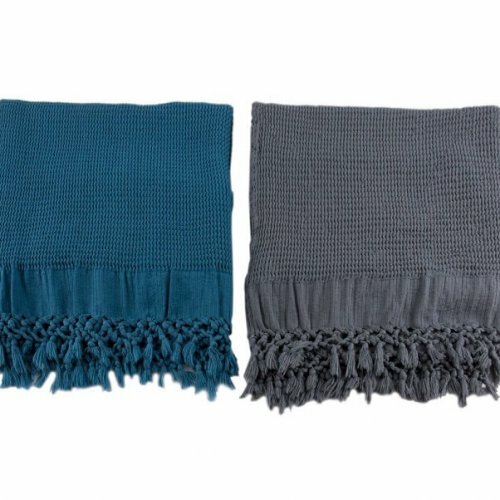 A unique gift for everyone male or female who enjoys the feel of practicality and minimalism in their lives. 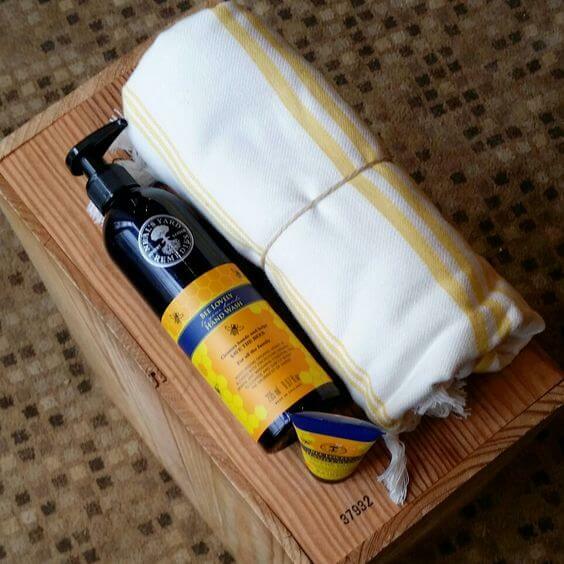 By giving this gift to someone, you give them a way of lifestyle much adventurous, fun-packed and smart. 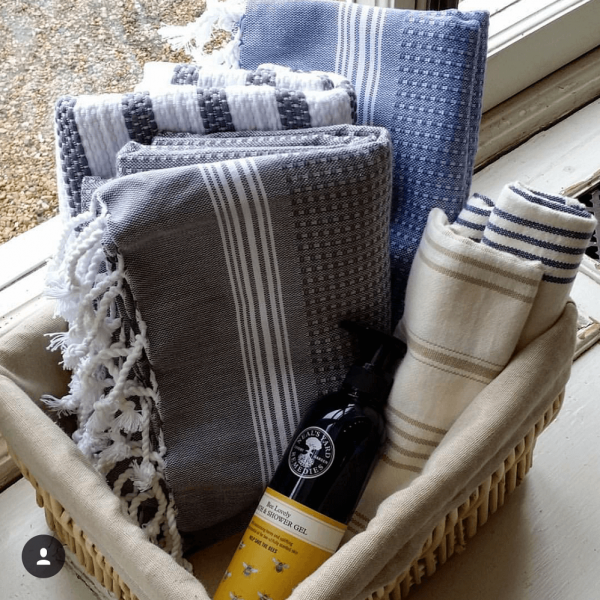 Please click on the Vintage Peshtemal Hand Towels to see the matching items. 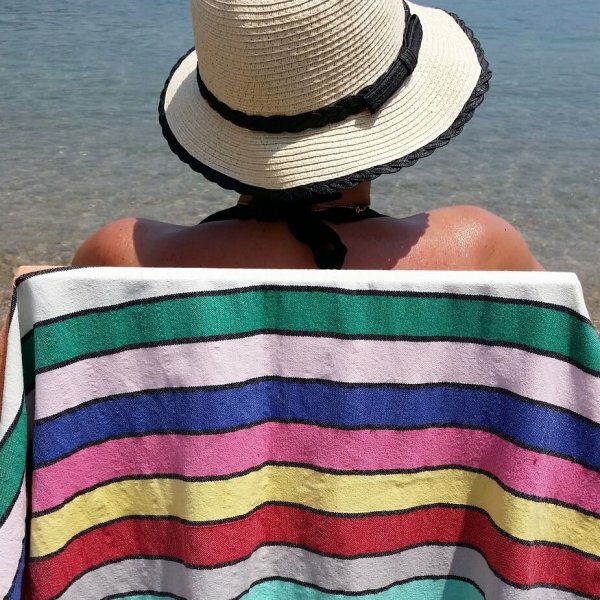 I bought this towel for my family and the quality is fantastic! 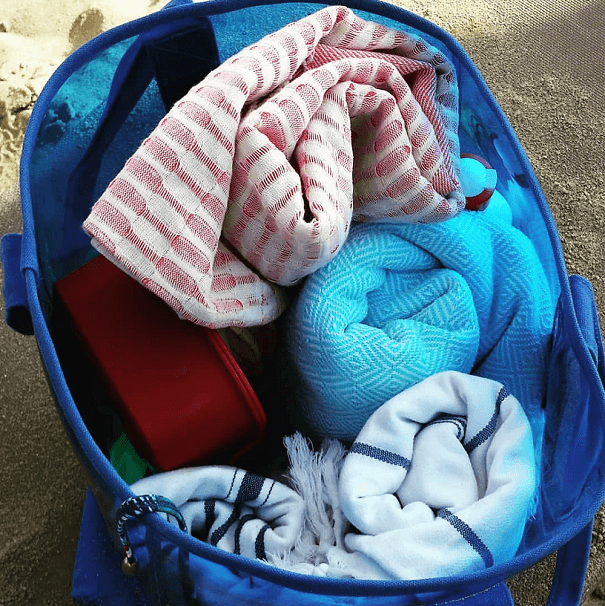 I cannot wait to use it at the beach…. You can not go wrong with these peshtamals. Excellent observant of the water, light to carry, easy to wash and dry. I use them all the time..bathrom, gym and beach.